Inner demons and unrest highlights the second season’s first episode as Gai’s struggle with controlling his urges leads to his downfall, creating a surprising thrill near the episode’s end. Ichijo’s transformation into a Busoma rages on until he battles Gai who changes into a Busoma as well to kill his former comrade. Gai’s advice to return home centers on him living a normal life with Sayaka, but the fear and raging urge to kill from the possessed Shiryu weapon in his arm takes a toll on his mind. 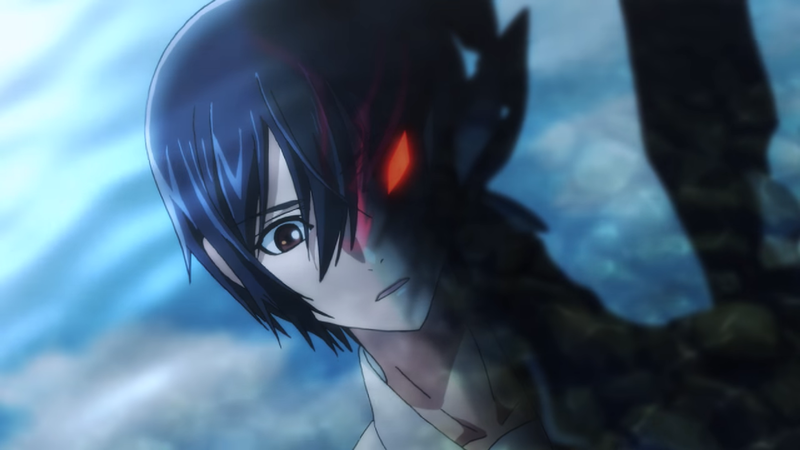 This corruption leads to a shocking end through the show’s usage of suspense and thrills that deviates from its cookie-cutter action sequences of Busoma fights. Gai’s decision to return home helps to develop his character and creates a sense of hope for Gai as fans feel that he is uncovering his purpose or calling to protect Sayaka. However, his return is marked with hardship through battling Shiryu’s demonic voice urging him to kill, which echoes the show’s established themes of human corruption. And yet it creates an intriguing engagement with the audience as fans see Gai’s heart and mind distance themselves more and more from Sayaka despite the scenes of him enjoying festive nights and meals with her. The episode does a great job at focusing on dualism where the forces of good within a man’s heart conflicts with instinctual urges to destroy, which the Shiryu weapon embodies. Gai’s portrayal of his inner conflict manifests well through how he sees himself in both his mind and reflection in the water. The second season immediately shifts gears to focus on character development, but the shocking end makes viewers wonder if Gai will survive. Nonetheless, its pace and flowed succinctly and didn’t feel out of place as its prior episodes did in season one.